One of our finest home-made Pork 'Stand' Pies is a must on your festive table. 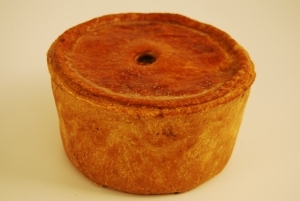 Available in a variety of flavours and sizes there is the perfect pie to suite any pallette. Our speciality reccomendation is the Extra Special Christmas Pie with 5 delicious layers of pork pie meat, sage & onion stuffing, sausage meat & turkey then topped with delicious cranberrys.